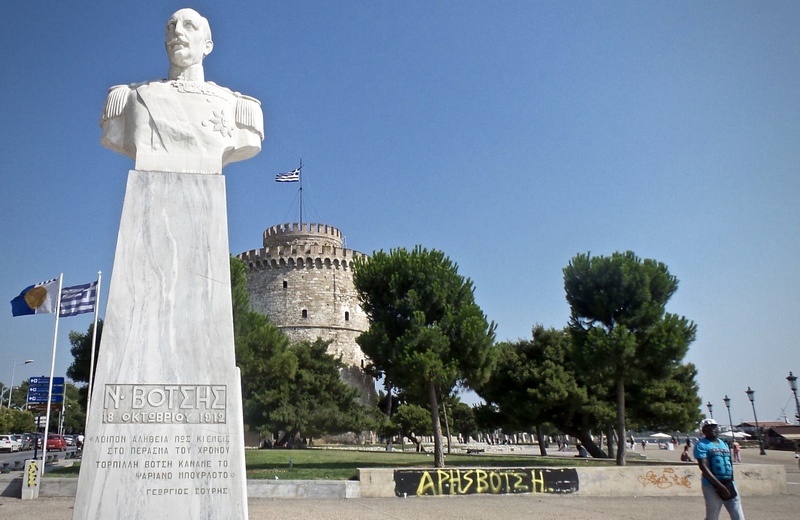 Thessaloniki is Greece’s second largest city, but still fairly small. Serving as a gate to where the East meets the West, this port city has been the stage to lifetimes of historical events. These days it’s know for being more posh and fashion conscious than Athens, and as a city with a large, young, population it enjoys an active, hip nightlife scene. The architecture of Thessaloniki is unique. Instead of out with the old and in with the new, ruins of archaeological sites dating back twenty-something centuries sit nestled comfortably in the middle of popular, busy squares. Old, dilapidated, stone churches stand closely smashed between tall, concrete apartment blocks. A city marked by its many distinct eras of inhabitants. The spacious, long walkway following the harbor, with Mount Olympus in the backdrop, make for perfect evening walks. During the summer, hot, humid days keep people indoors, and shops closed. Thessaloniki comes to life late at night when the cool breeze that drifts from the sea brings everyone outdoors to enjoy perfect weather accompanied by entertainers and food vendors. Young crowds hang out in a lively, relaxing atmosphere, soaking in sunsets and cocktails.